At Hartford HealthCare, our vision is our compass – guiding us as we work to transform health care and provide our patients and families with superb, seamless care. In earning the trust of our communities, we promise to never stop improving and innovating as we shape a new, high-value model of customer-centered care. Excellence without evidence is empty. Still, hospitals and health systems have had a hard time reporting quality and outcomes in useful ways. 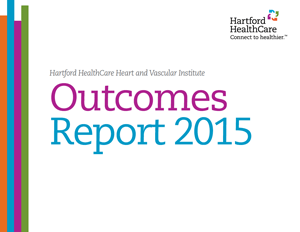 As clinical data moves increasingly to digital platforms and we see more demand for the information from payers and the public, Hartford HealthCare is leading the way to demonstrate our commitment to clinical excellence and full transparency. Reflected in this report is the work of our multidisciplinary teams of physician leaders, other clinicians, support staff and partners, who are collaborating to set and meet high-quality standards. In our quest for excellence, we have adopted best practices from industries far outside of healthcare. These include High Reliability Training and Lean practices and principles that are part of our H3W (How Hartford HealthCare Works) operating model. Our success is evident in our improving safety metrics, especially in the area of hand hygiene, where we are among the best in the nation. We at Hartford HealthCare are benchmarking ourselves against the best healthcare organizations in America to reassure those we serve that they will receive world-class care no matter what hospital, outpatient location or home service they use at Hartford HealthCare.